Is it a generator? A UPS? A flywheel? The new backup power systems at colocation specialist FORTRUST bring these elements together. As FORTRUST expands its Denver data center, it will use Diesel Rotary Uninterruptible Power Supply (DRUPS) from E1 Dynamics to provide emergency power during utility outages. The DRUPS unit features a diesel engine and a rotary UPS that uses kinetic energy, eliminating the need for batteries. The DRUPS is one of several approaches being implemented by data centers seeking alternatives to traditional lead-acid battery systems. Some providers are turning to flywheel UPS units, which are being adapted to offer longer ride-through times. Another approach is the use of UPS systems using lithium-ion batteries, which are commonplace in devices like smartphones and laptops but until recently were impractical in data center use. As FORTRUST prepared to add capacity at its Denver data center, COO Rob McClary and his team spent two years reviewing their options for backup power. 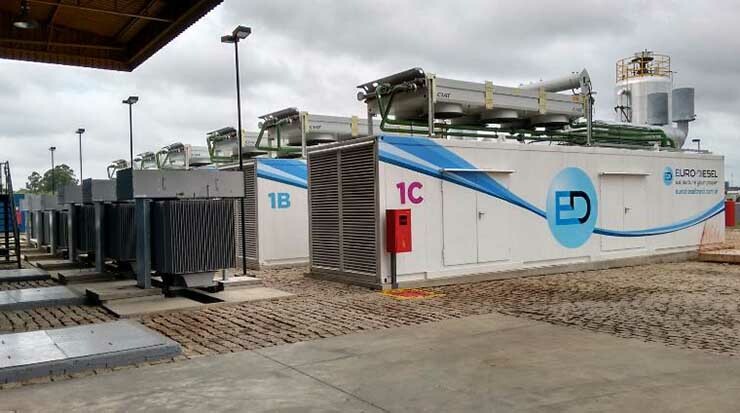 The search soon focused on the DRUPS units, which are common in data centers and mission-critical facilities in Europe, home to Euro-Diesel, the parent company of E1 Dynamics. 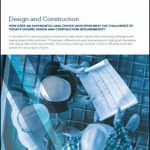 Efficiency with energy and space is important, but McClary’s primary focus was on reliability and whether the DRUPS could enable FORTRUST to extend its enviable record for continuous uptime. FORTRUST has had 100 percent availability in its Denver data center since it opened its doors in Sept. 2001, a stretch of more than 14 years. Although most data centers use lead-acid batteries, it doesn’t mean they love them. Maintenance is a particular headache, as batteries must be monitored and replaced as they fail. That’s why a number of providers are examining options that can save space and provide a better sustainability profile. One option is a flywheel, a spinning cylinder which generates power from kinetic energy, and continues to spin when grid power is interrupted. Although a flywheel offers a shorter ride-through time (about 15 to 20 seconds), it eliminates the need to replace batteries and requires less space. 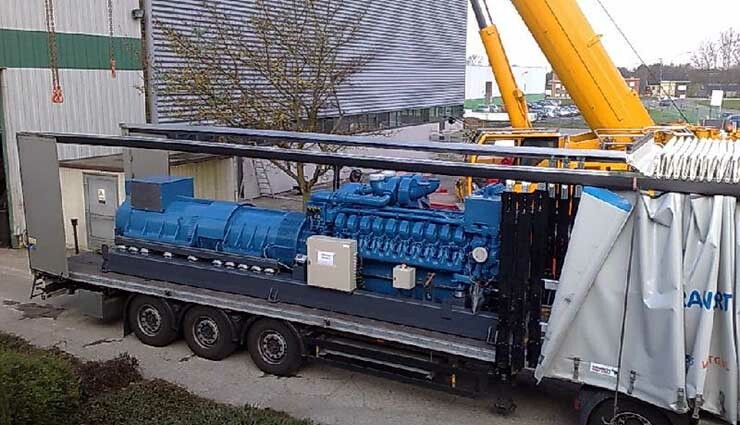 The DRUPS system creates a power module that uses a flywheel (which it calls a “kinetic energy accumulator”) to support the data center load, but also includes a diesel engine. McClary said the DRUPS are more efficient, have a longer-life cycle and take up less space than traditional static UPS and batteries, providing more expansion capabilities within FORTRUST’s data center. Euro-Diesel is among a number of vendors offering rotary UPS designs that incorporate diesel generators. Data center operators in the U.S. may be familiar with similar products from Hitec, which have been used by Terremark and 365 Main, among others. Other players offering products in this space include Germany’s Piller and Hitzinger, which is based in Austria. Euro-Diesel says its new DRUPS product simplifies several design innovations focused on reliability, including a flywheel that module rotates on the outer shaft of the drive train. Shifting the weight further from the shaft allows Euro-Diesel to use an accumulator with lower weight that rotates at a slower speed (less than 3,000 RPM) to provide the same amount of energy. This means less stress on bearings and lower temperatures, which should provide a longer life for the bearings. Euro-Diesel and E1 Dynamics also use an electromagnetic clutch, which improves the reliability of the diesel engine and can allow for quicker handoffs from the flywheel to the generator. FORTRUST has ordered two of the 2.5 megawatt DRUPS systems to support its 2017 expansion. The company will be adding a new phase to its Denver data center, which spans more than 300,000 square feet of space and 34 MVA of power capacity. The original phase of the project featured traditional raised floor colocation space, but FORTRUST now deploys space using data center modules from BASELAYER and CenterCore.